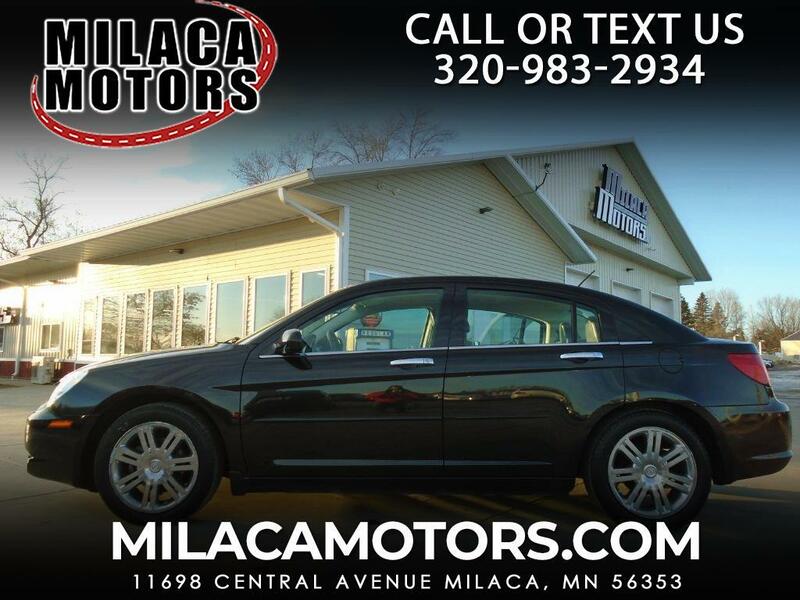 Meet our 2008 Chrysler Sebring Convertible. The power plant is Chrysler's tried-and-true 3.5 Liter 6 Cylinder, delivering 235hp; it's coupled to an automatic transmission. The handling and ride are responsive and true, with easy-to-use controls and a smooth ride both around town and on the road. This car is well appointed with all the extras you want in your next car like anti-lock brakes, power everything, leather, and more - just look at the equipment. Drivers just like you--have good things to say about this car-- You will have tons of room, wrapped in extreme comfort, and have ample power combined with great handling. Don't take their word for it--you can spend more money and still not find this combination of style, room and comfort anywhere. You can't start saving money until you take it home! Print this page and call us Now... We Know You Will Enjoy Your Test Drive Towards Ownership!